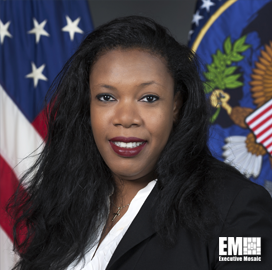 La’Naia Jones, deputy chief information officer of the Intelligence Community, discussed how the Security Coordination Center facilitates the sharing of cyber threat intelligence and information on malware among IC agencies, Federal News Network reported Tuesday. “So they work with all of the agencies to coordinate threats to work on malware signatures to prevent attacks and threats, to ensure that everyone has the same information from a threat posturing, and the security perspective,” Jones said of the SCC on Federal Monthly Insights — Strategic Threat Intelligence. “They coordinate, whether it be general information or upcoming or anything that came out, they really are charged with ensuring that everyone is aware and tracking the most current status information mitigation techniques, and everything that’s included with that," she added. Jones said the SCC is directly linked to the community and other sensitive government agencies and was formed following the expansion of the Intelligence Community Incident Response Center five years ago. She added that her office plans to advance the use of cloud and automation in threat information sharing.